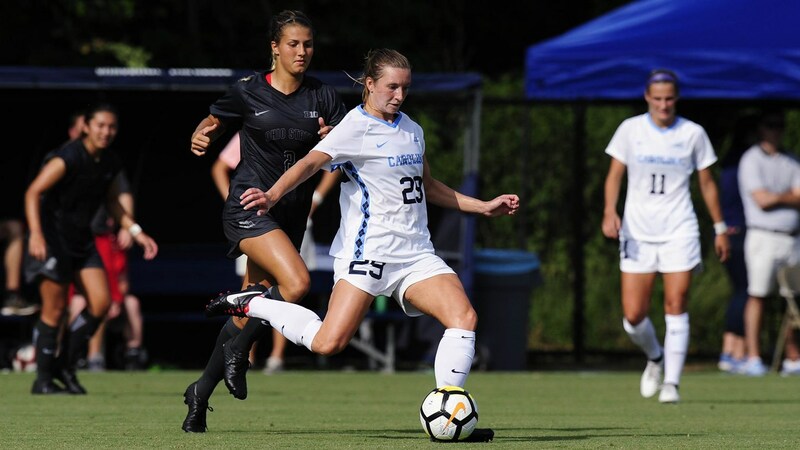 A clash of the two teams picked to finish atop the ACC in the preseason on Friday night in Tallahassee saw the sixth-ranked UNC women’s soccer team edge out the No. 2 Florida State Seminoles 1-0. Freshman forward Rachel Jones broke the scoreless tie with her first career collegiate goal in the 29th minute, while the Tar Heel defense held the Seminoles (7-1-1) without a single shot on target throughout the entire match. The win ended a two-match losing streak for the Tar Heels (6-2-1), who dropped a pair of matches in California last week against No. 12 Santa Clara and No. 1 Stanford. It also marks the third consecutive meeting between the teams won by UNC. The Tar Heels are set to return to Chapel Hill for their next game, when they host Pittsburgh on Thursday Sept. 20 at 4 p.m.